A Baked Brie can turn the standard cheese board into a highlight of a gathering: a warm, gooey communal comfort food. 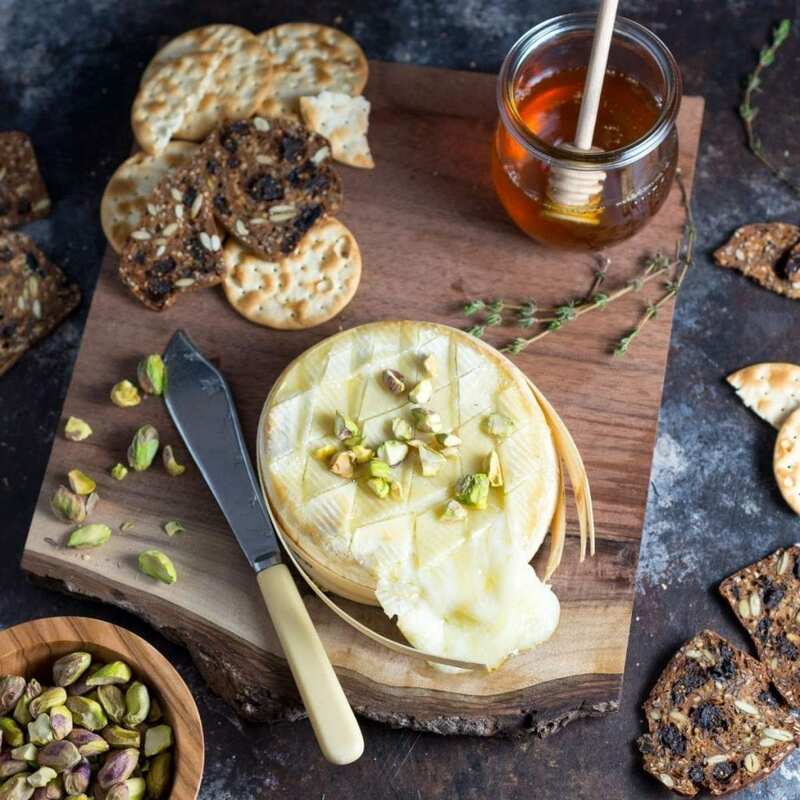 A party without cheese is like Valentine’s Day without chocolate, and, while a well-curated cheese plate will likely do the job for any occasion, a wheel of baked Brie will deliver maximum impact with a minimum of effort. Especially at a winter party, it can turn the standard cheese board into a highlight of a gathering: a warm, gooey communal comfort food. Making a baked Brie (or a baked Camembert, Brie’s soft-rind cousin) can be as simple as tossing the cheese in the oven with some kind of drizzled topping, or you can go all out by serving it en croûte—wrapping it up in puff pastry with any number of store-bought or homemade sweet condiments. Note: This Baked Brie series is also available on Serious Eats! 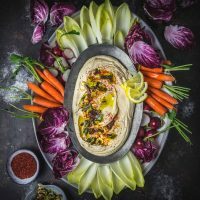 There’s a lot of variation among the cheeses that are generally available in American grocery stores, and you may have access to fancy imported brands, or a “traditional handmade Brie” that promises complex flavor and aroma along with a gooey texture. But honestly, you don’t want to spend big bucks on a Brie wheel that’s going to be heated up and served as a casual party snack. Those complex flavors will end up completely lost—it’s like using a really good bottle of wine to make sangria. A common complaint with baked Brie is that the wheel fails to melt, or even ends up rubbery. When baking Brie, remembering a few key things will encourage good melting. Second, don’t overcook the Brie. Twenty to 25 minutes in a 350°F (177°C) oven without the puff pastry crust, or up to 35 minutes with it, should be enough to heat the cheese through. In fact, overcooking it, especially if you haven’t cut the rind, may actually re-harden the cheese and make it tough and unappetizing. But here’s our main tip: For the gooiest, meltiest baked Brie, look for wheels labeled “triple-cream.” Triple-cream cheese (or fromage triple-crème, for you fancy folks) is cheese that contains more than 75% butterfat in the dry matter. (Double-creams must contain between 60 and 74% butterfat.) Extra cream is added to these cheeses before the curd is formed. In triple-creams, this means roughly 40% fat overall, similar to the percentage of fat in heavy cream. Butterfat melts at a relatively low temperature (90 to 95°F/32 to 35°C), so, even with the stabilizers present in almost all supermarket cheeses, a triple-cream will turn liquid and gooey when heated. Warm and inviting, baked Brie elevates any cheese plate. While the term “triple-cream” may sound ultra decadent, these rich, buttery cheeses are not quite as fattening as you might think. Fat content in cheese is measured in parts per dry matter, and since so much of a soft cheese is actually water weight, the fat solids are significantly less than in a hard cheese, like Parmesan. Ounce for ounce, triple-cream Brie is actually less fattening than the same weight of an aged Gruyère, due entirely to moisture content. 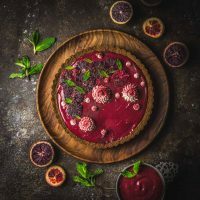 With all of that in mind, here are three easy recipes to get you started, one without a pastry crust and two with. All of these should be served warm out of the oven, though it’s important to wait about five minutes to let the Brie settle before cutting it open. Serve your gooey, cheesy creation with crackers, warm baguette slices, or crudités (we really like sliced apples). Whichever recipe you go with, you’ll make your party guests happy, and, after all, isn’t that what it’s all about? A simple drizzle of honey makes all the difference. 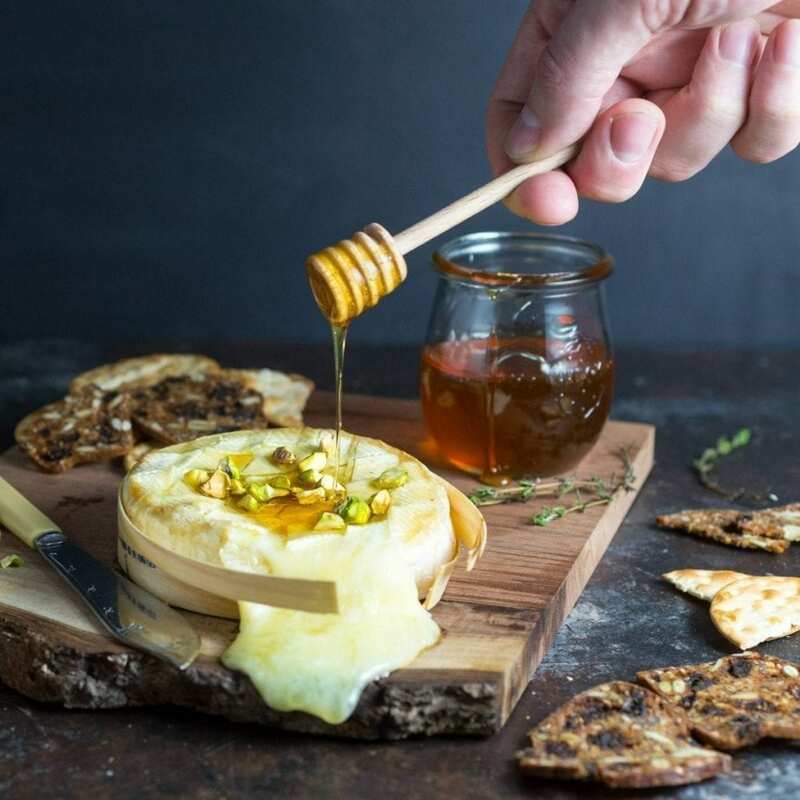 Our simplest variation on baked brie involves scoring the rind and topping the baked cheese with pistachios and a little drizzled honey. And that’s it! If your wheel came in a thin wooden container, you can bake it straight in that. (Don’t forget to remove the paper wrapper, though!) We recommend that you set the container on some parchment paper on a baking tray, just in case. Some wheels will be packaged in a cardboard container which we don’t recommend baking with: instead, you can bake it straight on the parchment or use a small oven-safe dish. Want to take it to the next level? Make it en croûte. There’s something about a well-baked puff pastry crust that screams “comfort food.” Honestly, sometimes I think you could bake a shoe in puff pastry and it would turn out well, but the technique works especially well with a soft, gooey cheese. 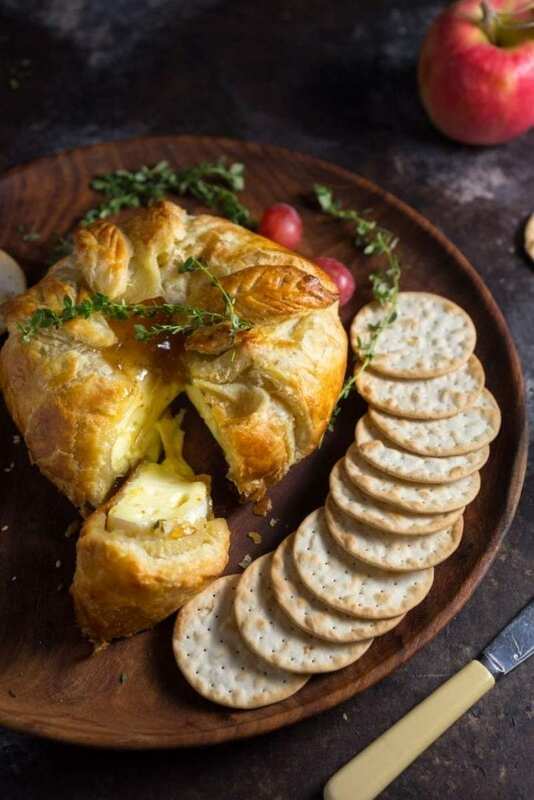 In our second variation, we topped the scored brie wheel with store-bought fig jam, sprinkled a few thyme leaves on and wrapped it with a sheet of puff pastry. You do need to take a little care with this technique not to create any gaps that a melting cheese might escape from, but don’t get too fussy with it. Start with a sheet of thawed pastry, and roll it out to a square, giving yourself enough of a border around the cheese to wrap over the top. Fold the edges in, making a bulb of pastry at the very top. You can tie this with string if you like. 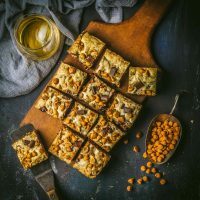 Brush the pastry all over top and sides with a wash of one egg beaten with a tablespoon of water – this will give you a gorgeous brown color when baked. If you’re not using string, you can seal under the flaps and top with the wash to stick it down. The creaminess of these cheeses benefits from a partner to balance it out with both sweetness and acidity. We like jams from fruit that naturally have less sugar and more complex flavors: our version uses fig jam, but quince and apricot, for example, would also work very well. A sweet berry jam would push this too heavily into dessert territory for our taste, but cranberry should pair well. You could even use a pepper jam to give it a spicy savory twist. 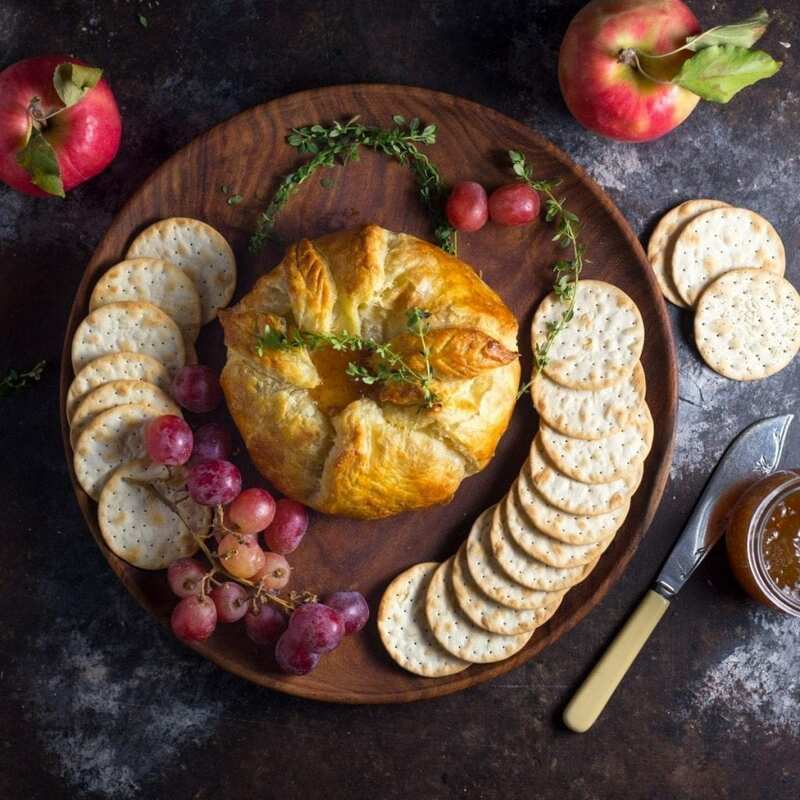 Our third variation is also baked in puff pastry, but adds the twist of a layer of sweet, spiced homemade apple and pear compote halfway through the brie as well as on top. For this version you will need to slice the wheel in half lengthways and spread your preferred filling between the layers and on top. 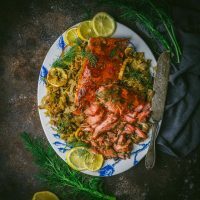 Links to the three recipes. Oh my, you have beautiful photos of your beautiful food!